Because of our strong industrial design capabilities, a customer in the construction industry engaged Metro Custom Plastics to engineer a cone-shaped appliance for setting the gaps on large concrete forms. After a full evaluation of all the criteria, we designed and manufactured the product shown here. 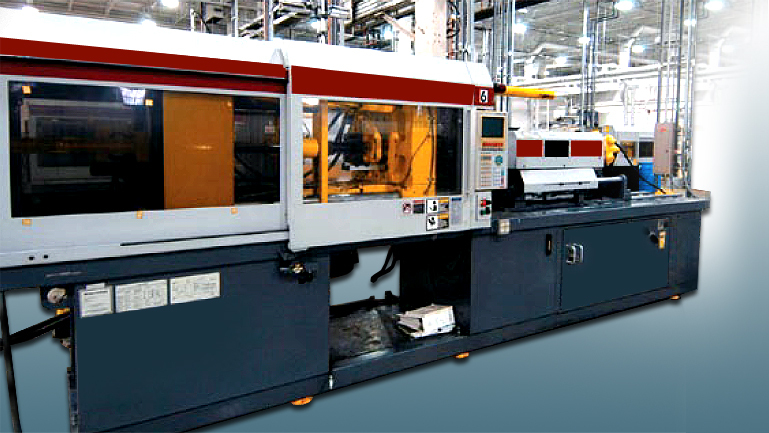 One of our objectives was to design the part for injection molding at fast cycle times. Using high density polyethylene, chosen for its excellent strength-to-density ratio, we created a thin-walled part with good strength properties. By applying finite-element analysis techniques to the mold design and simulating the injection molding process, the result was an optimal balance between molding speed and the part's structural performance. We built a high speed production tool, which enabled us to simultaneously mold conforming parts that were dimensionally identical. This mold allowed us to achieve a consistent part weight, as well as repeatable molding, cavity-to-cavity, while achieving fast cycle times. This project demonstrated many of Metro Custom Plastics outstanding technical competencies. Collaborating with the customer early in the design stage was a very important factor in its success. By leveraging our deep understanding of plastics and injection molding technology, we were able to provide a superior quality product while keeping material usage and processing costs at very reasonable levels. If you are interested in learning more about this project, or have a similar one and would like to explore ideas, contact Metro Custom Plastics today.